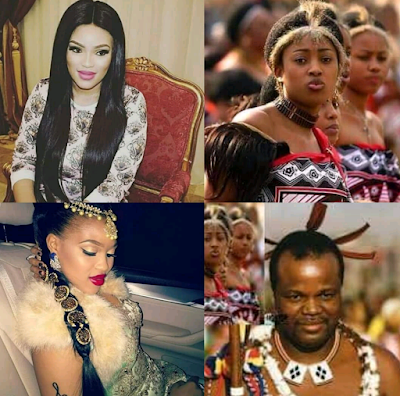 The eighth wife of Swaziland King Mswati III, Ms Senteni Masango, has committed suicide, local media confirmed. Ms Masango – known as Inkhosikati LaMasango –was found dead early on Friday morning and she was buried on Sunday morning. Mswati has been criticised for his lavish lifestyle, especially by the media; in one report he has been accused of living a lavish lifestyle while his people starve. In the 2014 national budget, parliament allocated $61 million for the king’s annual household budget, while 63% of Swazis live on less than $1.25 per day. Following criticism of his purchase of luxury cars, including a $500,000 Maybach, he banned the photography of his vehicles. According to the Forbes 2009 list of the World’s 15 Richest Royals, King Mswati is worth a reported $200 million.